Policy Research Associates, Inc.’s sister firm, Policy Research, Inc., has been awarded the John D. and Catherine T. MacArthur Foundation’s Safety and Justice Challenge—Serious Mental Illness Technical Assistance contract. The Safety and Justice Challenge is an initiative designed to reduce over-incarceration in America’s jails through local jurisdiction-level change. Jurisdictions participating in the Safety and Justice Challenge are tasked with developing and modeling effective strategies to divert individuals from entering jail, reintegrating individuals into the community, and reducing recidivism rates. Through this award, Policy Research will be providing intensive technical assistance to the selected Safety and Justice Challenge jurisdictions that have targeted initiatives for individuals with Serious Mental Illness as well as communicating findings gained by the Safety and Justice Challenge network to the field to promote national criminal justice reform. The contract will be directed by two of our criminal justice leaders, Dr. Henry J. Steadman and Travis Parker. Learn more about the Safety and Justice Challenge at the John D. and Catherine T. MacArthur Foundation’s website. 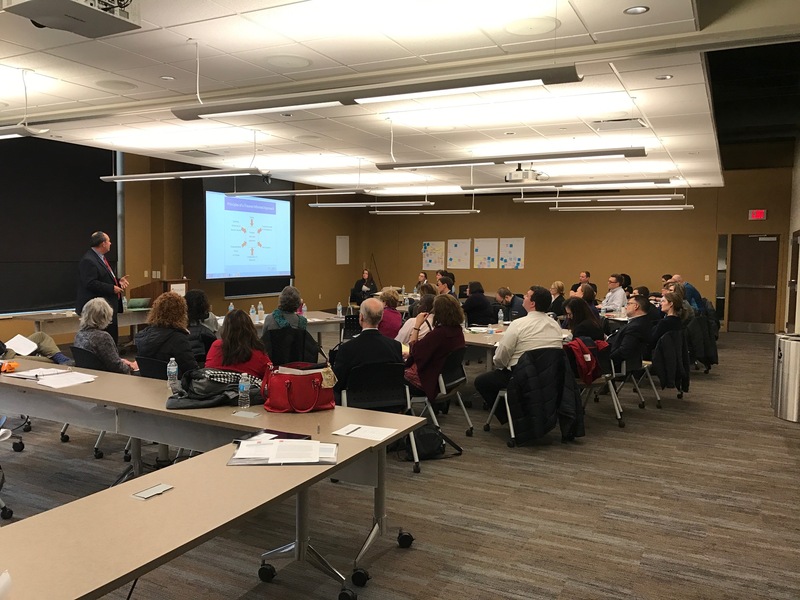 In 2017, PRI conducted a How Being Trauma Informed Improves Criminal Justice Responses for a group in Milwaukee, Wisconsin under the Safety and Justice – Serious Mental Illness Technical Assistance contract. A photo of the training is shown below. The training was very helpful in preparation to train the trauma informed care.